Nothing says “the holidays are here” quite like a yummy treat covered in red and green touches. Not only is it fun to eat decorated holiday treats, but it’s just as much fun to make them. Decorating Christmas cookies or making gingerbread houses has always been one of my absolute favorite holidays traditions. However, it all of a sudden gets a lot less convenient when you aren’t using frozen sugar cookies and store bought gingerbread house molds. How do you still have an easy to decorate treat that’s also delicious and food allergen friendly? This AIP & Paleo Christmas Crack is all of that and more! So, what the heck is Christmas crack? Traditionally, it’s made with boxed saltine crackers, melted chocolate, and multi color sprinkles. Easy, and festive right? Sounds like the perfect little treat until you consider the crackers can be made with enriched wheat flour, soybean oil, cottonseed oil, and refined salt… just to name a few. You have to know your own limits, but for people like me with Hashimoto’s disease, gut issues, and food intolerance, even a little bit of conventional Christmas crack will leave me feeling awful during one of my favorite holidays. Like I said, Yucan crunch is the best option for this Christmas crack. It’s Paleo, AIP, and is only made with one ingredient. 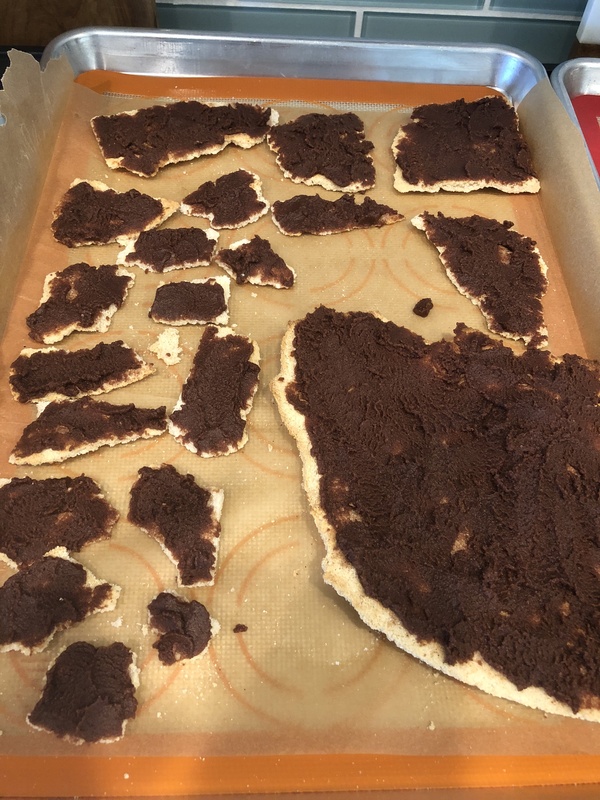 You can also use things like Simple mills crackers if you can tolerate almonds, or homemade paleo crackers, but yucan crunch is the best option. Coconut butter is also referred to as coconut mana, or coconut cream concentrate. These ingredients help recreate the chocolate coating that you’d get from melted chocolate, but they’re full of healthy fats! You cannot sub nut butter like almond butter to get the same result. Cocoa powder works great in this recipe, or you can sub carob powder to make it AIP. Both sweeteners work in this recipe. Here’s where the Christmas-y decoration comes in! It’s hard to make sprinkles that aren’t loaded with mystery ingredients, and these options are more fun and flavorful anyway. The topping is optional, and you can read about how to actually make this work in the instructions below. Take two sheets of yucan crunch crackers (or 2-3 cups of the crackers that you’re using) and break them up into smaller pieces. Lay them out on the parchment paper. 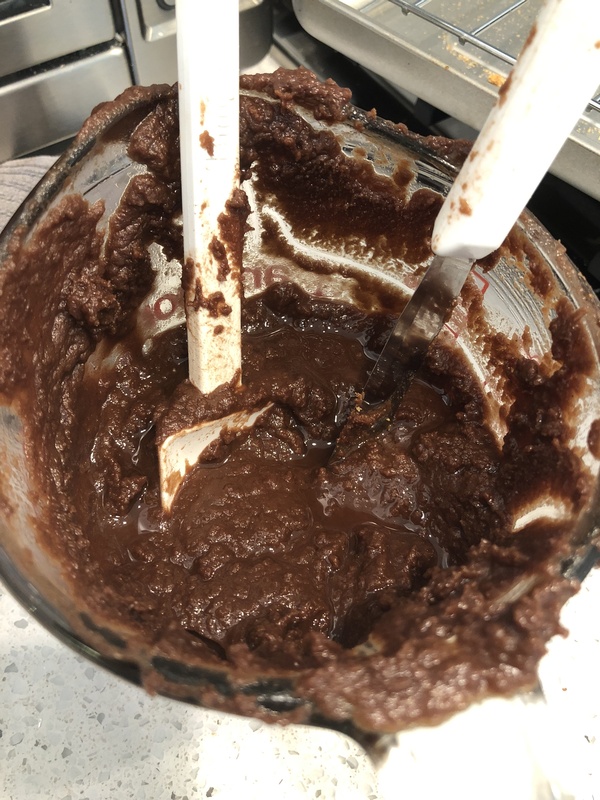 Combine the coconut butter, coconut oil, cocoa powder, and maple syrup in a mixing bowl and thoroughly combine until smooth. Pour over the crackers and thoroughly coat. Add more coating if needed. Top with sea salt. Place the crackers in the fridge for 2-3 hours or overnight to set. Remove when coating has hardened. Next, combine 2-3 tsp of melted coconut butter with the crushed freeze dried strawberries and add them to the top of the crackers. Isn’t this stuff super fun? It’s easy to make, fun to decorate, festive, and oh so delicious. I shared these with lots of folks who aren’t at all paleo or AIP, and everyone was a fan! They’re great for sharing at parties or as edible gifts, and are perfect to let kiddos and the young at heart have fun with and decorate as they’d like. I hope you enjoy this yummy treat! Be sure to tag me on Instagram if you try it! This looks delicious! Thank you for the recipe. I am going to make these ASAP. I have a question, though….Do you toast the crackers first? Thank you!! It’s personal preference. I don’t toast them, but my husband likes it toasted. Enjoy!! Just looked up the crackers and they are incredibly expensive! How many crackers do you actually get for $35? Hi Sara, the one I linked here it $25 for a 4 pack. I just realized I added the salt into the mix instead of sprinkling. That may be part of the problem. Hi Kristen, sorry yours didn’t turn out well. It looks like your coconut butter wasn’t fully liquified which is why it turned out like more of a spread. Some brands of coconut butter may be harder to melt than other for sure. The best way that I’ve found to melt it is to use a double boiler until it’s completely liquid. If that doesn’t work, you can also add more coconut oil to thin it out more.